It is, in many ways, remarkable that India, the world’s second most populous country should still harbour populations of many species of large mammal, and especially apex predators like big cats. India is the only country in the world with four species of big cat – tiger, lion, leopard and snow leopard – and although the populations of some of these are dangerously low (lion and tiger in particular), they are still realistic animals to try and see, providing you go to the right places. With this in mind, our very successful first venture looking for snow leopards was followed immediately by a tour with the emphasis on two other big cats, namely tigers and leopards. 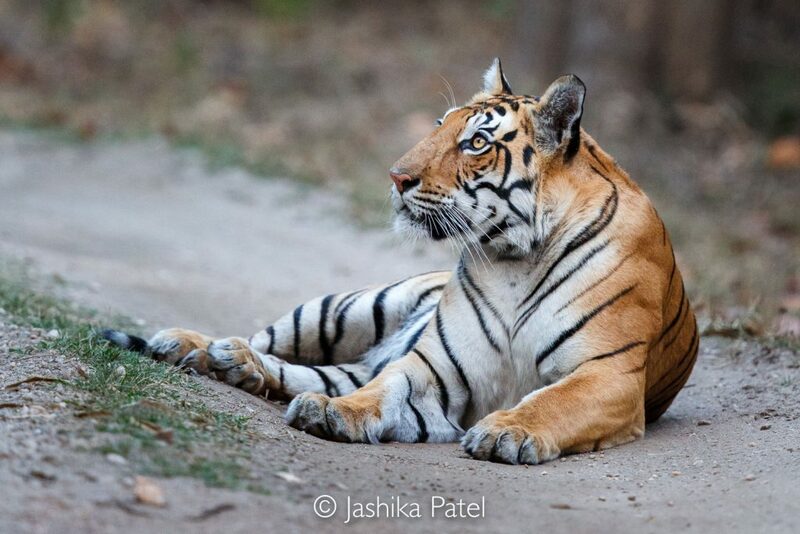 To look for tigers, we chose Kanha National Park, one of Central India’s most diverse and beautiful reserves, where forests of majestic sal and bamboo are interspersed with open meadow areas, that form focal points for prey species like chital (spotted deer) and barasingha (swamp deer) to gather. 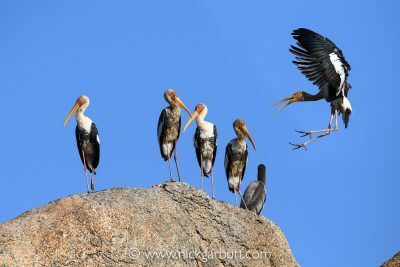 Over five full days in Kanha, there were daily morning and afternoon game drives (and two all-day drives) to different parts of the park: most of our time was spent in the Mukki range, but there were also visits to the Kanha and Kisli ranges. Each of these ranges is different and in combination they offer a considerable variety of forest types, wooded hills, deep valleys and open meadows. All prime areas where tigers might be seen. 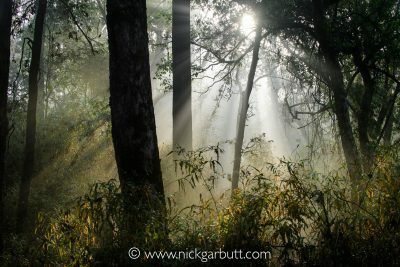 Early morning is a particularly special time in Kanha: with mist and a damp chill still hanging in the air, the first rays of the rising sun create a magical mystical atmosphere in the forest and the senses are on full alert to possible alarm calls from deer, langurs or peacocks, should a tiger still be on the prowl. 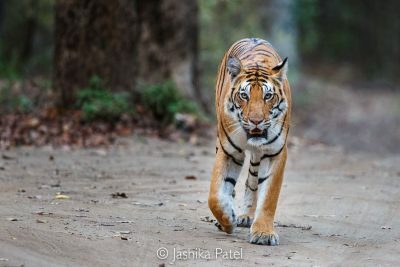 Our group enjoyed some very special, prolonged and memorable encounters at various times, but as is always the case with tiger watching a lot of time needs to be invested to reap the rewards. 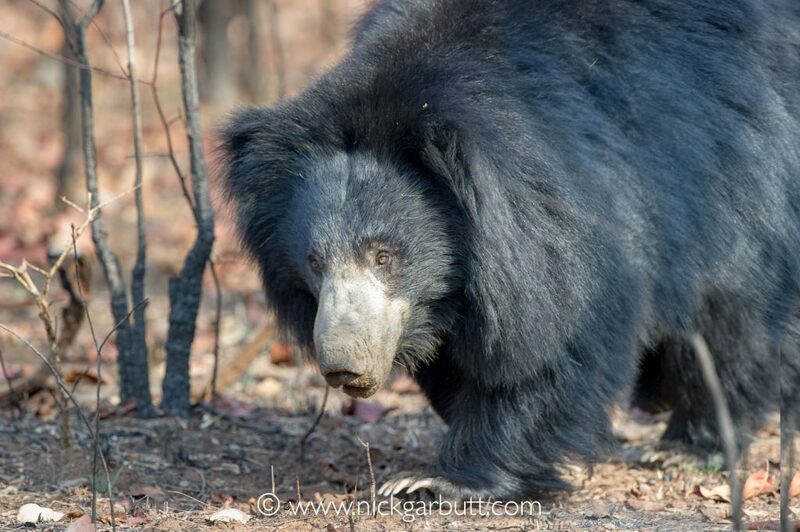 There were also sighting of sloth bears, golden jackals, jungle cats, gaur and wild boar as well as the daily regular sightings of chital, sambar and barasingha. While leopards are present in Kanha, they are shy, secretive and devilishly difficult to see. As is the case with most Central India tiger reserves, leopards tend to keep a very low profile, when there are tigers in the vicinity. However, there are places in India, where tigers are absent and leopards thrive and consequently they can be easier to see. 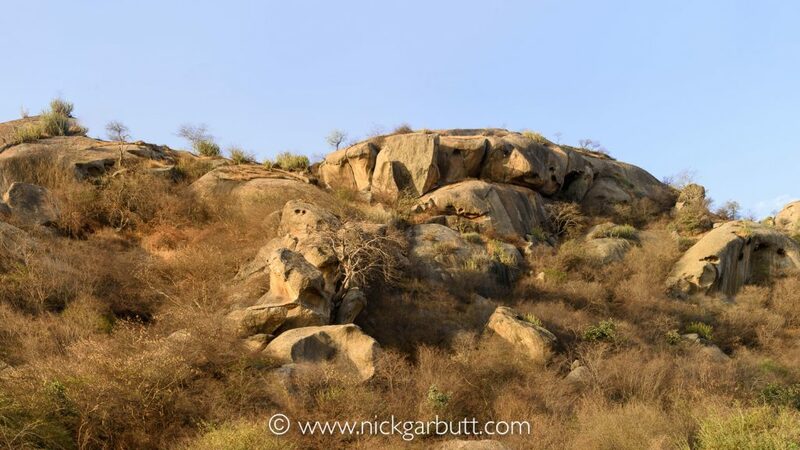 So to complement our time in Kanha we travelled to the Aravalli Hills in Rajasthan and the regions of Jawai and Bera. Here large rocky outcrops (somewhat reminiscent of kopjes in the Serengeti) form islands of natural habitat that are surrounded by scrubland, cultivation and human settlement. 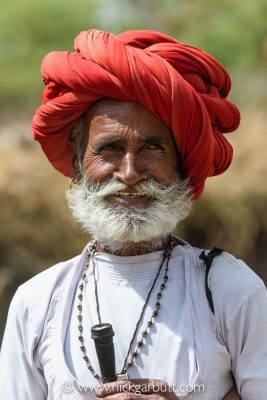 There are numerous villages and rural communities where Rabari herdsman tend their sheep and goats. 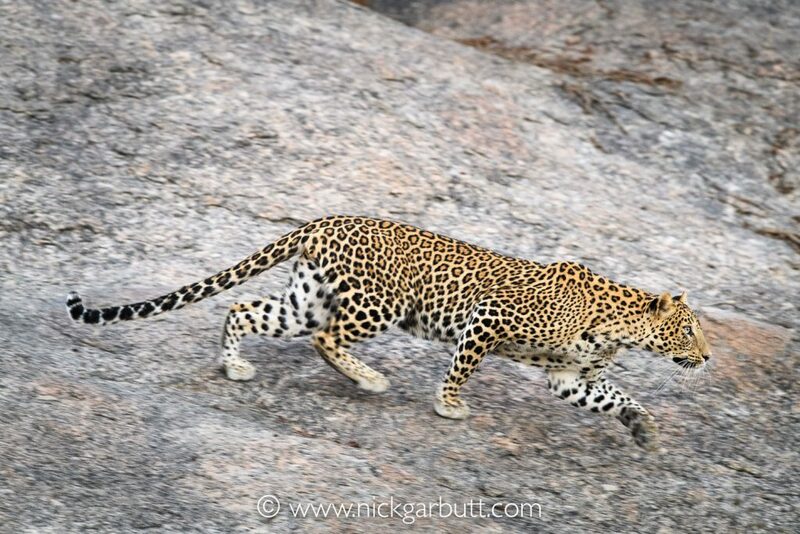 The leopards thrive in the rocky outcrops and scrubland and often venture into the periphery of the villages after dark. While there is some natural prey like nilgai, most of the leopards’ diet consists of local livestock and village dogs! However, because of ancient beliefs these losses are tolerated and the leopards are not persecuted. Our first afternoon in the area turned out to be rather surreal. 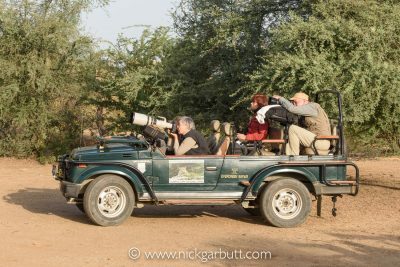 We were late arriving from Jodhpur, so the lodge arranged for our safari vehicles to meet us en route and we headed straight off on a game drive. 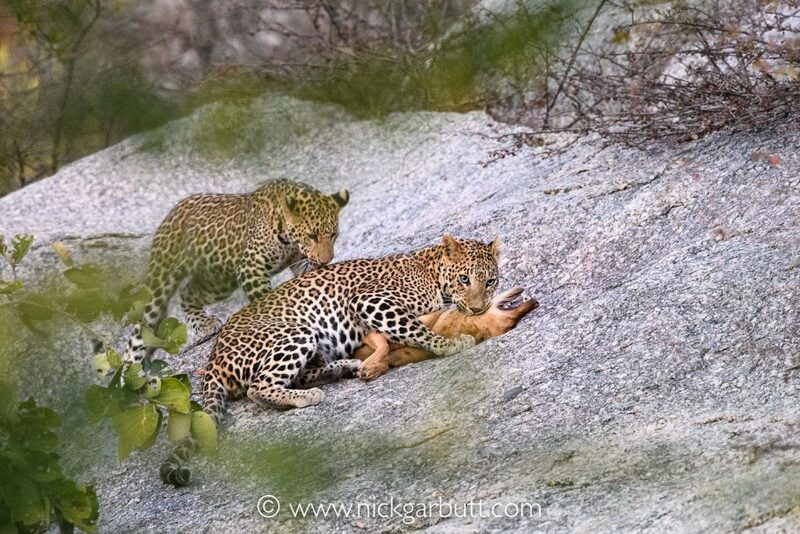 Within fifteen minutes we were parked next to a rocky outcrop just outside a village and looking at a female leopard with two eight month old cubs that were resting in amongst the rocks. Towards the end of the afternoon as dusk was descending, the female climbed down from the ledge she had been resting on and began moving with considerable purpose down the slope towards bushes at the base of the outcrop. She then darted into the bushes and killed an unsuspecting village dog only a handful of meters away from where we were watching! Over the course of the next three days we enjoyed numerous other fabulous sightings of different leopards. In fact we had sightings on each of our seven game drives (3 x morning, 4 x afternoon). Other highlights included a magnificent male alongside his eight-month old male offspring (who was rather nervous and submissive around his father) and a female with very small cubs that were perhaps less than eight weeks old. There were also several prolonged viewings of the original female and her two cubs. 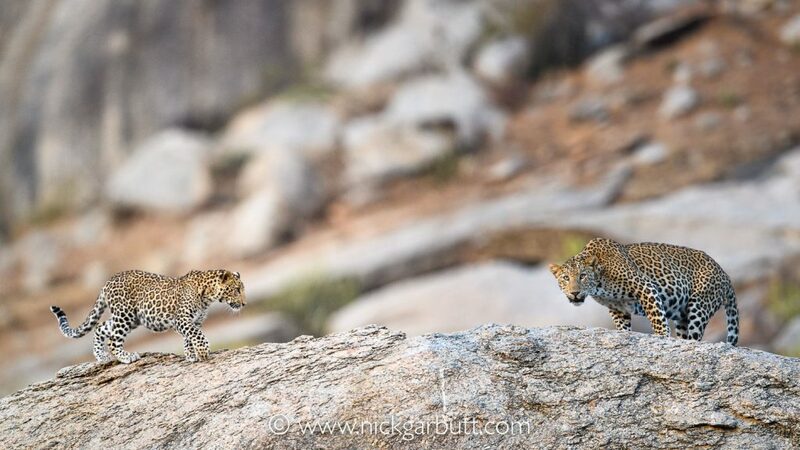 Nick Garbutt and Wildlife Worldwide will again be running a tiger and leopard trip, India’s Wild Cats, in 2018. With thanks to Jashika Patel for use of her lovely photos.